Every year, people get so caught up in the holiday season that they forget about their regular doctor’s appointments. With 167 million people having dental insurance, the chances are quite high that benefits will go unused, especially when it comes to dentistry. 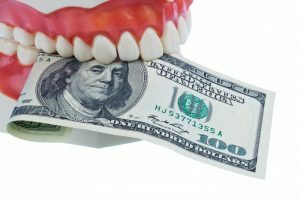 According to a report from the National Association of Dental Health Plans, only 2.8 percent of PPO plan participants met or exceeded their annual maximum, leaving money on the table for only insurance companies to collect. So, how can you start maximizing? Consider these tips from a dentist in Canton! Schedule As Soon As Possible! It’s unfortunate, but many people will walk into dental practices assuming the benefits they had are still available, only to be told that they expired weeks ago. For most dental plans, benefits do not carry over into the new year, meaning that they will expire on January 1st. That means getting your next appointment scheduled by December 31st is crucial to maximizing what you have left. If you have a PPO dental plan, chances are you have a plan that operates in this way. If you have a Flexible Spending Account or Health Savings Account, you’ll want to maximize what dollars you have left to spend on treatments you either haven’t started or finished. This is especially true if you have an FSA, which typically only lets you spend funds past the expiration date at a discounted rate. Learning details of your plan such as your annual maximum, your remaining benefits and the amount covered for specific treatments is key. To learn this information, contact your insurance company directly or your HR manager (if you get your insurance through your employer.) Both can confirm exactly what benefits you have left and what is covered. These steps are necessary for helping you decide which treatments to prioritize, however it’s typically better to confirm that you’ve seen the dentist twice this year first. If you’ve only had one dental cleaning or exam this year, it’s likely that your insurance entitles you to a second visit. While preventive treatments like cleanings, exams, X-rays and fluoride applications are typically covered a significant amount by insurance, they aren’t the only treatments you should consider before the end of the year. For example, many people will start a treatment plan earlier in the year, but then not show up for follow-up appointments. If you have a dental crown or filling to get placed, your benefits will cover a portion of your treatment as long as you started treatment in the current year. This staggering method of treatment is common practice in dentistry, so feel free to ask the practice’s front desk or insurance coordinator about this option. Dental insurance is use it or lose it, so do you and your family a favor this year and get started using it! Schedule an appointment with a cosmetic dentist in Canton today! Dr. J.D. Robison earned his DDS degree from the University of Michigan. His office is more than happy to file insurance on your behalf and provide multiple payment options to make dental care easier to afford. To learn more about his practice, you can contact him, through his website.